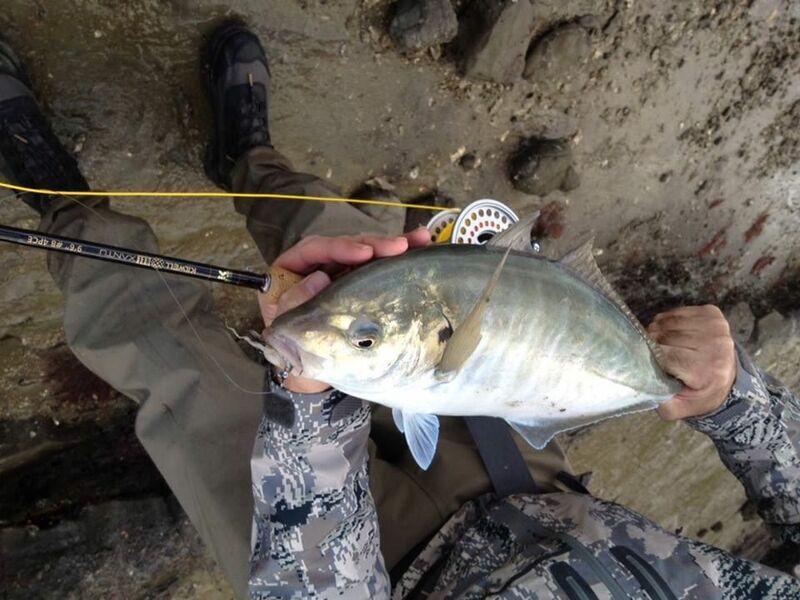 One of the most sought after estuarine flats targets is trevally. Nicknamed the “Silver Prince” they are a difficult fish to hook and often can be even harder to land. The larger specimens encountered in estuarine environments tend to hunt alone, unlike in the open ocean where schools of fish are common. Tagging studies by local fisheries scientists have shown that trevally are not a wide ranging fish and tend to stay within a 50 kilometres radius of where they spent their juvenile years. They tend to move into the shallow waters of many estuaries of spring and move back out into deep water in late summer. 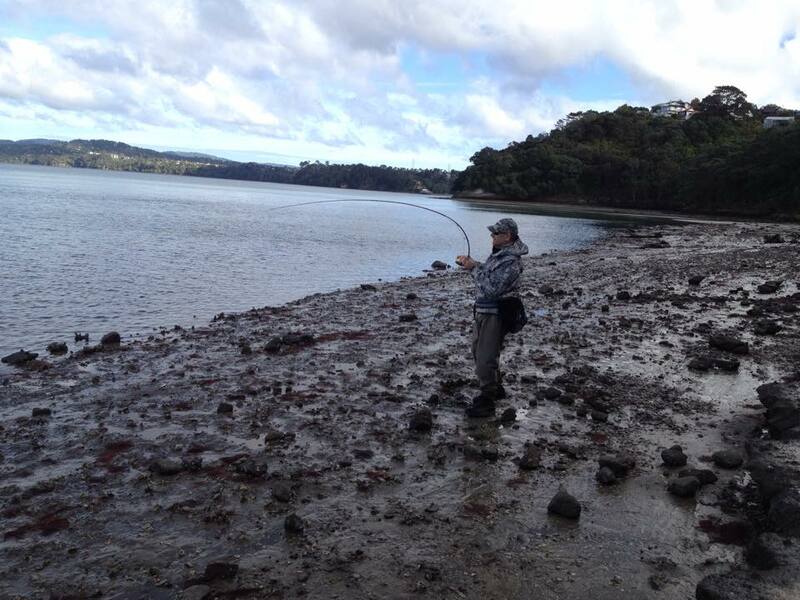 There is always an exception to this rule though and I have caught many trevally in shallow estuaries through the winter period. The resident fish caught over autumn – winter tend to be bigger than the fish that first enter the estuary in spring. In the estuaries they tend to feed predominantly on mantis shrimps, small fish and crabs so it makes sense to target them using small lures or flies which are accurate representations of these common prey items. 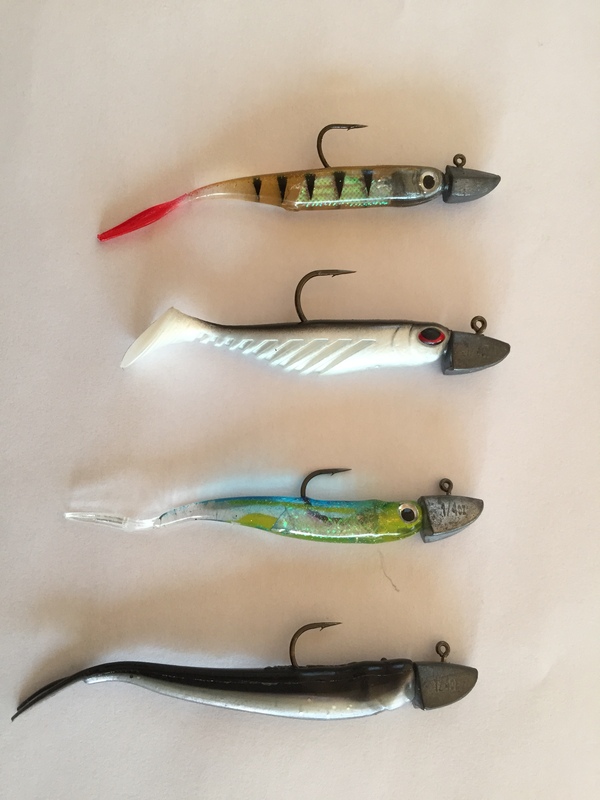 Small soft plastics fished on light jig heads are often irresistible to big trevally. Keep an an eye on the shallows as the tide recedes as trevally will frequently move steadily downstream with the current zig zagging from deep to shallow water. Often they will herd and concentrate bait fish against an underwater obstruction while doing this and then charge in at speed to grab as many as possible during the resulting pandemonium. Trevally like lures and flies to be fished on the bottom, dead drift. I generally target them with soft plastics and weighted flies using the “wet lining” retrieve and like to feel the lure “tap, tapping” the bottom as it swings downstream with the current. Very slow retrieves, either by hardly cranking the spinning reel handle or a figure of 8 for fly lines, seem to work best. When spinning I really just try to do enough to keep a tight line to the lure. The same applies in fly fishing where a tight line “do nothing” wet line retrieve works well. I’ve found that the most successful soft plastics are the Berkley PowerBait Ripple shad, PowerBait minnows or Bento Bait minnows in 2″ or 2.5″ size. They will occasionally take a Toby especially if a single hook is used and an orange or pink soft plastic whirl tail is carefully threaded onto it. The flies I’ve found work consistently well for trevally are what I call the “Krill Clouser” or the “Brush Ranger” (see above). Anything that could be mistaken for a marine worm, shrimp, tiny crab, smelt or bully will likely work though. In general imitative patterns work best as the fly is constantly moving due to the current pushing them steadily along the bottom. The fly should always lead the line in order to eliminate drag. If you want to see how to tie a Krill Clouser then click on the video link below. Takes can be incredibly tentative or equally brutal. 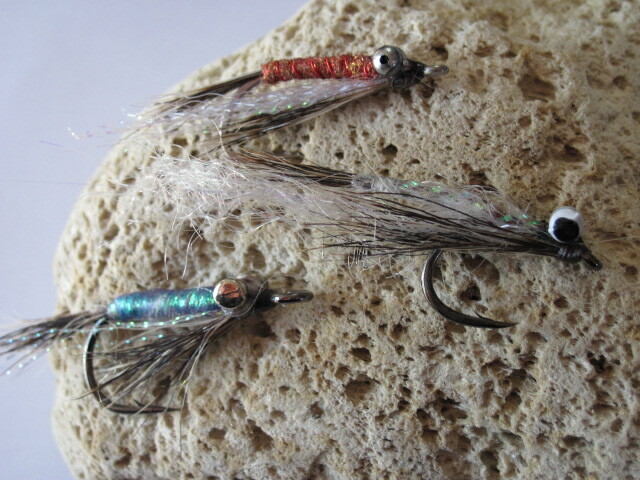 If you are fly fishing then strip strike at any pause or irregular movement of the fly. It is better to strike on impulse and not hook anything than do nothing and wonder later on whether you just had a faint touch. Once hooked they generally tear off in a searing run downstream. They soon tire of this however and then tend to spin and head back upstream into the current. Trevally like to fight by running parallel to the shore as this allows them to use their broad flanks to resist the pressure being exerted by the angler. Regular changes of direction, vigorous head shaking and rapid bursts of acceleration punctuate the fight. This, coupled with the fact that the connecting flesh around the maxillary area is delicate, means that it is easy to rip a hook out if too much pressure is applied. Steady, gentle pressure works best if there is no foul areas on the bottom to worry about but if the territory is gnarly then a no holds barred approach is often necessary. 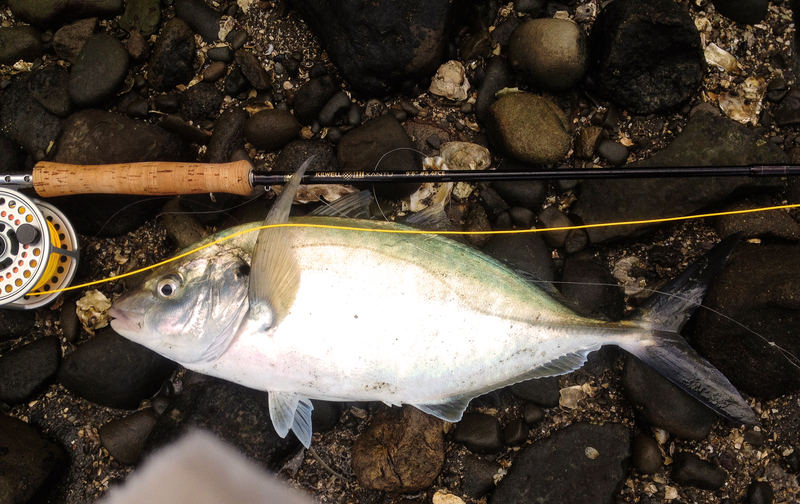 When fighting trevally I move quickly along the shore with the run and always try to keep a slight angle to the fish. If they are running into the current I like to be slightly downstream of them and vice versa. When they tire walk them out by stepping back away from the shore. They follow meekly at this point and it is easy to tip them on their side in the shallows when they are nearly spent. Trevally are my favourite estuary foe. They are not easy to hook, fight hard and are excellent table fare.